Thank you Maria; I appreciate your nice note, support and visit! Thank you so much Patti; I appreciate it!! Thank you Eddie!! I appreciate your nice note and support. Reflective Blues on Lake Umbagog: This photograph was taken at sunset in June 2012 from a remote island on Lake Umbagog (Lake Umbagog National Wildlife Refuge) in New Hampshire. Umbagog Lake is a wilderness lake located in Coos County, New Hampshire and Oxford County, Maine. 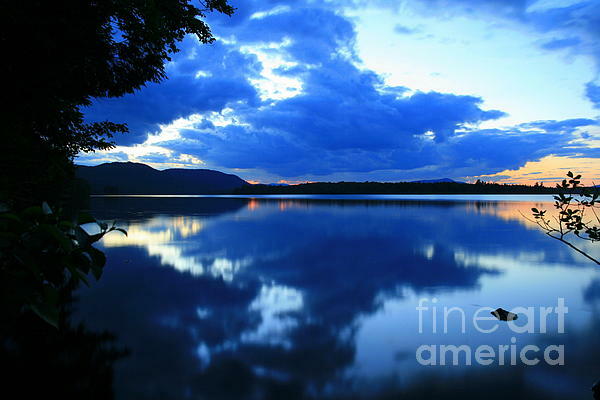 Lake Umbagog is one of the most pristine lakes in the state of New Hampshire. It lies in the towns of Errol, New Hampshire, and Upton, Maine, as well as the townships of Cambridge, New Hampshire and Magalloway Plantation, Maine. The name Umbagog is said to come from the Abenaki word for "shallow water". The lake runs almost 11 miles north to south. 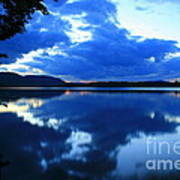 The Lake's surface area is approximately 7,850 acres making it the largest lake along the Maine/New Hampshire border. Lake Umbagog's average depth is less than 15 feet and its maximum depth is 75 feet. 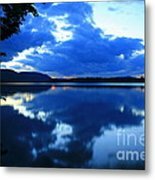 Lake Umbagog is fed by the Magalloway River, the Rapid River, and the Dead Cambridge River and is the water supply for the Androscoggin River.